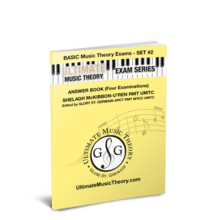 LEVEL 5 Practice Exam Answers - The Ultimate Music Theory Exam Series is the ONLY exam series with Identical Matching Answer Books! 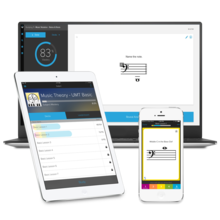 The UMT Exam Series is designed to help students prepare for Nationally Recognized Music Theory Examinations including the Royal Conservatory of Music Theory Exams. 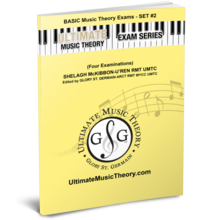 BONUS - Practice Exam includes TOP 10 Ultimate Music Theory Tips To Score 100% on Exams! 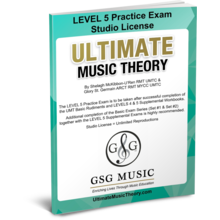 LEVEL 5 Practice Exam Download has been added successfully to your wishlist.